Nokia made a comeback this year by launching the Nokia 6, but honestly, this is not what we want from Nokia. We want something that can compete with the bests of Samsung & Apple. We want a high-end premium device that can compete with the upcoming flagships of tech giants. Anyways, it seems we are not going to see any flagship from Nokia yet; the reason could be that Samsung has already acquired the first batch of Snapdragon 835 chips. So, if Nokia has to launch a flagship at MWC, it will either be powered by the Snapdragon 821 or underclocked Snapdragon 835.And both these things won’t impress Nokia lovers. 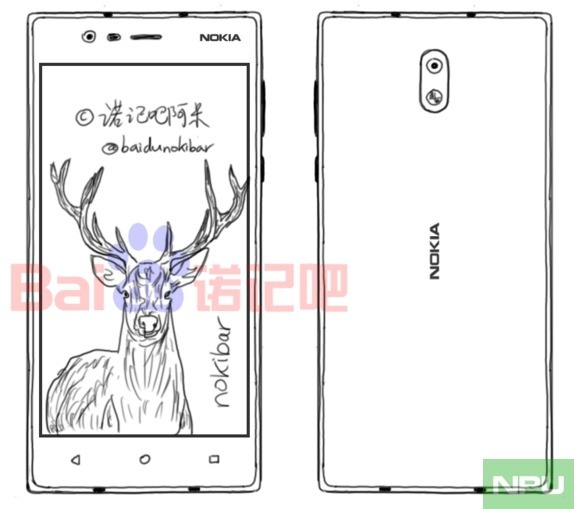 We can say that the ‘beast’ from Nokia will be launched probably after 3-4 months which is a long way to go. A new rumor suggests that Nokia will launch three devices at the MWC, the Nokia 3, Nokia 5 and surprisingly, the Nokia 3310. Nokia 3, the entry level Android, will initially go for €149. The pricing roughly translates to Rs 10500 for Indian market. It will be launched on February 26 at MWC 2017 with release date aimed at March-April in major markets. Let’s see what Nokia has prepared for us. Stay Tuned as we are pretty sure about more leaks in coming days.